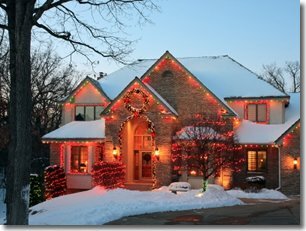 A few holiday cleaning tips and ideas to keep your home looking its best this holiday season from Long Island, NY area owner Todd Borom. Moving around the room in one direction ensures you won’t miss anything; dusting from top to bottom means dust from upper surfaces won’t land on newly cleaned items. Clean like a professional, start with cobwebs hiding in hard-to-reach corners and dust that clings to ceiling fans and light fixtures, then move down to countertops and shelves. This method helps corral dust and dirt, making it easier to vacuum away. Wiping out the window sash – the inside part of the window frame in which the window slides open – helps keep the rest of the house clean, Borom says. “A lot of dirt sits in the window sash and blows into the house, attracted by static and electromagnetic rays from the television.” Wipe it once a week with a microfiber cloth. Mirror streaks aren’t always visible while you’re cleaning, so Borom recommends standing to the side and turning off the light to get the best view. Todd Borom is owner of Molly Maid of North Shore Nassau County 50 Glen Street, Suite 300, Glen Cove, NY 11542 516-609-2525 providing cleaning services to greater Glen Cove, NY. Each maid services team comprises bonded, insured, licensed and uniformed housekeepers who are regularly supervised. Click here to request service in your area.